The next generation of compressed air management master system, the SIGMA AIR MANAGER 4.0 utilises adaptive 3-Dadvanced Control to make air generation and treatment even more intelligent, reliable and efficient. 3-Dadvancedcontrol analyses all operating data on an ongoing basis, simulates alternative actions and calculates the perfect compressor combination. The result: Unprecedented energy efficiency. Maintain an overview at all times thanks to easy operation, visualisation and analysis. With secure network technology – conveniently from any PC. And if you have big plans for the future: The SIGMA AIR MANAGER 4.0 is designed to grow with your air station. A simple software upgrade allows an expansion of the master controller without the need for additional investment in new hardware. The SIGMA AIR MANAGER 4.0 not only registers switching losses, but all factors that affect your compressed air station. It then uses the gathered information to calculate the achievable optimum performance values and controls all connected components accordingly. 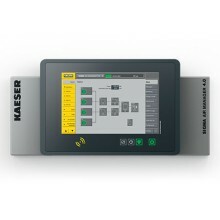 Together the SIGMA AIR MANAGER 4.0 and the powerful Ethernet KAESER SIGMA NETWORK form a future-dynamic infrastructure that meets all requirements for a highly-secure industrial control system. Continuous fine adjustment with a view to achieving optimum energy efficiency (energy management in accordance with ISO 50001) and the option of predictive, demand-oriented maintenance keep life cycle costs to an absolute minimum. As a result, just the right amount of compressed air power is provided to suit the specific needs of the application, with maximum energy efficiency. The unique adaptive 3-Dadvanced control continuously analyses the relationship between various parameters (e.g. 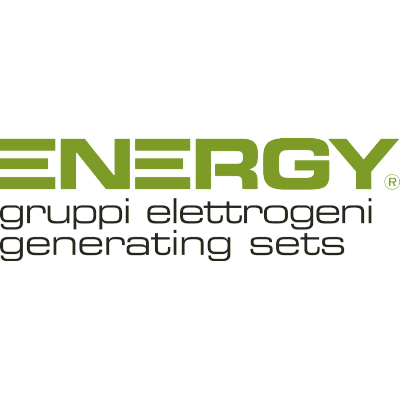 switching and control efficiency), and pro-actively calculates the optimum combination from a range of many in order to achieve optimum efficiency. Not only are starts and stops taken into consideration, but so too are idling and frequency converter losses, together with pressure flexibility. 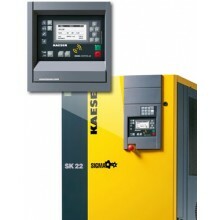 Moreover, the compressed air system's pressure performance value is optimised and average pressure is reduced.